The FATCA controversy, which is part of the destruction of Americans residing outside the U.S., has hit the U.S. domestic media. It’s about time. On December 26, 2011 the following article “Law To Find Tax Evader Denounced” appeared in the New York Times. “The law is meant to ensure Americans cannot use hidden trusts overseas to evade taxes, a goal that is widely applauded. But critics say that it amounts to gross legislative overreach, and that the $8 billion the Treasury expects to reap in taxes owed over 10 years pales next to the costs it will impose on foreign institutions. Those entities are being asked, in effect, to pay for the cost of tracking down American tax evaders. “But beginning in 2012, many American expatriates — already the only developed-nation citizens subject to double taxation from their home government — must furnish the I.R.S. with detailed personal information on their overseas assets. American Citizens Abroad, an advocacy group, estimates the new form will add three hours to tax preparation. Considering that the law provides harsh penalties for even unintentional errors, the organization says it is “simply not realistic for a vast swath of the normally law-abiding filer community unable to afford the expensive services of a professional tax adviser. “The Fatca legislation treats all Americans with overseas bank accounts as criminals, even though most of them are honest, hard-working individuals who happen to be living and working or retired abroad,” said Jacqueline Bugnion, a director of American Citizens Abroad. American Citizens Abroad continues to fight relentlessly against FACTA. The following ACA radio interviews about FATCA are well worth your time. The combination of FATCA, FBAR and citizenship based taxation (only the United States and Eritrea tax their citizens if they live outside the country), have made life for U.S. expats very difficult. Compliance with U.S. tax and reporting requirements is difficult and expensive and carries huge penalties for mistakes. As a result, it is likely that many U.S. citizens living outside the United States will find it difficult to find tax preparers. Most of these problems would be solved if the U.S. stopped taxing citizens who live outside the United States. No other country (Eritrea excepted) taxes its citizens who live outside the country. The time has come to look very carefully to see if citizenship based taxation makes sense. There are apparently approximately five million U.S. citizens living outside the United States. Approximately one million live in Canada which is a high tax jurisdiction. The result of the Canada U.S. tax treaty is that few U.S. citizens in Canada actually pay significant taxes to the U.S. Yet, the filing and reporting costs are enormous. Make no mistake the compliance cost of expat tax returns is also borne by the U.S. treasury as well as American Citizens living abroad. Furthermore, there is evidence that FATCA, FBAR and the taxation of dual citizens is starting to create diplomatic problems for the United States. The long term viability of U.S. leadership (and possibly survival) depends on the U.S. learning to “get along” better with other countries. The best thing the U.S. could do for its internal security would be to make friends and not enemies. The best investment in U.S. defense might be to repeal FATCA. In the long run, other countries do NOT need to use the U.S. financial system. Why create incentives for other countries to take their business elsewhere? The time has come to ask: is it really worth it for the United States to impose citizenship based taxation? The cost of citizenship based taxation is high! Are there really any benefits to it? The United States of America is a very unusual place. It is the only country of significance that requires its citizens living outside the United States to file U.S. taxes. It is the only country of significance that does not have an adequate public heath program for its residents. Perhaps, the U.S could learn something from the rest of the world. How about this: the United States should abolish citizenship based taxation and create a public health system! This entry was posted in Citizenship-based taxation, FATCA on December 27, 2011 by renounceuscitizenship. This is a jewel of good solid information. Spread it far and wide! The IRS should be made to answer certain questions before FATCA can be enacted. Here are just a few. Other readers please add more. 1) How many Americans are affected by FATCA? 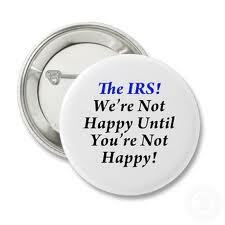 2) How many of them do the IRS consider to be criminals? 3) If there is no change in the behavior of American citizens how much extra tax will FATCA generate? 4) What percentage of Americans change their behavior if FATCA is enacted to reduce their taxes? 5) How many FFI are there in the world? 6) What is the total cost born by the FFIs to become compliant, and the annual cost thereafter? 7) How many FFIs will choose not to do business with Americans living abroad, just terminate their accounts? In business we have failure criteria. The IRS must make a statement in advance that FATCA will be considered a failure if it fails to raise a defined amount of new taxes. Considered a failure if a certain percentage of FFIs withdraw funds from the US rather than bear the cost of compliance. Etc. etc. For our company we are sending all the ex-pat Americans home to the US. For one reason only. FATCA. FATCA is worthless and wrong. Wrong things never end well.